Borneo-based martial artist and doctor Audreylaura “Ice Comet” Boniface is ready to switch her stethoscope for mixed martial arts gloves. The 29-year-old will head to the Thuwunna Indoor Stadium in Yangon, Myanmar to face local hero Bozhena Antoniyar at ONE: REIGN OF VALOR on Friday, 8 March. 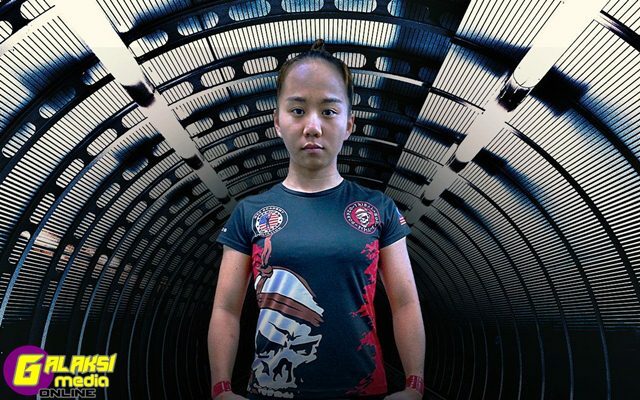 Boniface, who trains with fellow ONE Championship Malaysian athletes AJ “Pyro” Lias Mansor, Hisyam “Zephyrus” Samsudin, and Ann “Athena” Osman said she has been buzzing ever since receiving the offer to take on the two-time Myanmar National Boxing Champion. “My coach [Mansor] dropped me a text asking if I wanted to fight on the Myanmar card. I immediately said yes,” Boniface said. “I cannot wait to represent my country again. I’m really excited for this. Boniface, who lives in Kota Kinabalu, last competed in ONE back in January 2018. Now, she kicks off 2019 with the intention of returning back home with a victory for her nation. The Borneo Tribal Squad representative admitted that time away from the cage has given her more motivation to record her first professional win. “Life has been really good to me in 2018. I’ve had more time for myself and for my loved ones,” the taekwondo black belt said. This will be Boniface’s first visit to Yangon, and she knows the Thuwanna Indoor Stadium will be roaring in support of her counterpart, who set the record for the fastest knockout in ONE women’s history in that same building in February 2018. That will not discourage her, however. “Ice Comet” will block out the static and enjoy the experience. “I heard the crowd in Yangon is very loud. I heard it is a beautiful place, too,” Boniface said.